We've been getting people on skis and bikes in Bend, Oregon since 1972. We can't wait to start with you. that place that connects us not only to one another, but to a life outdoors. We never get tired of that glowing, fresh-off-the-trail look on a customer's face when they come into our ski and bike shop after an epic day. 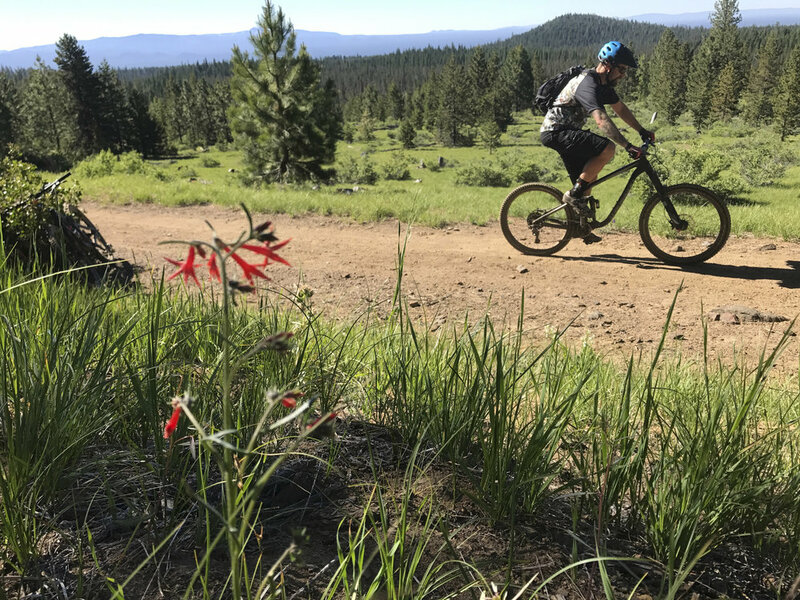 Road bike, mountain bike, and cross country ski rentals are a favorite part of our business, because they get our customers outside immediately--right to where they belong in the fresh air of Bend, Oregon. 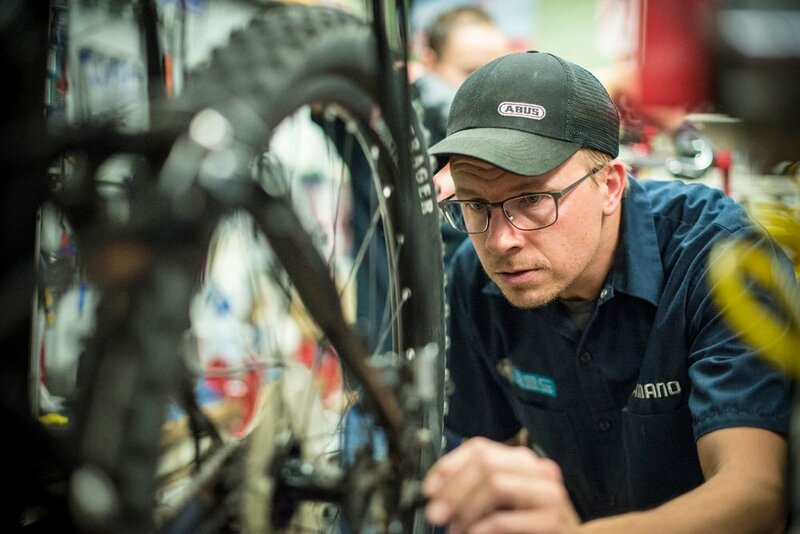 Our bicycle sales and repair departments are motivated by the same get-em-outside philosophy. We pride ourselves in our ability to get riders and bikes out of here and into there in record time, with new bikes, repairs, or adjustments that are thorough, well-fitted, and utterly trailworthy. We want to make your bike shopping process as simple and elegant as the machine itself. Come to us with a dream. We'll guide you through your options, and put you on the perfect bike. You want your bike fixed as soon as possible at a reasonable cost. So do we. Bring your bike in or have us pick it up. We'll give you a tight estimate and get it turned around quickly--either on-the-spot or within a few days. Done! Make this ride your best ever. We spare no expense on our rental/demo fleet. Whether you're renting cross country skis, mountain, or road bikes, we'll be putting you on our best. Our team includes a retired physician, a biology professor, a home brewer, and some hardworking shop dogs. It's a pretty diverse bunch, but we're all here because we love gulping in Bend's fresh air from freshly-waxed skis or a well-tuned bike. New to Bend, Oregon or want to mix up your usual routine? Check out our favorite mountain bike trails, road bike routes, and cross country ski trails, complete with downloadable maps. Or stop by the shop for an espresso and a personalized recommendation. Need a rental bike or skis? We've got you covered. Let's get you on the perfect bike. There's a special kind of freedom that only comes on two wheels, and we want to help you experience that. So we offer some of the most respected bike brands, a thoughtful assortment of gear and apparel, and the most skilled mechanics in town. As it turns out, cycling and skiing are close cousins—they both get you outside on the trails with just a few pieces of elegantly designed equipment. Let us show you what it takes to make winter awesome. When Sunnyside Touring opened on Irving Avenue in Bend, Oregon in the early '70s, the bike shop sold 10-speeds, skis, kayaks, skateboards, and running gear. In 1982 the shop brought in its first actual mountain bike, and the business (and the love) continues to grow from there.